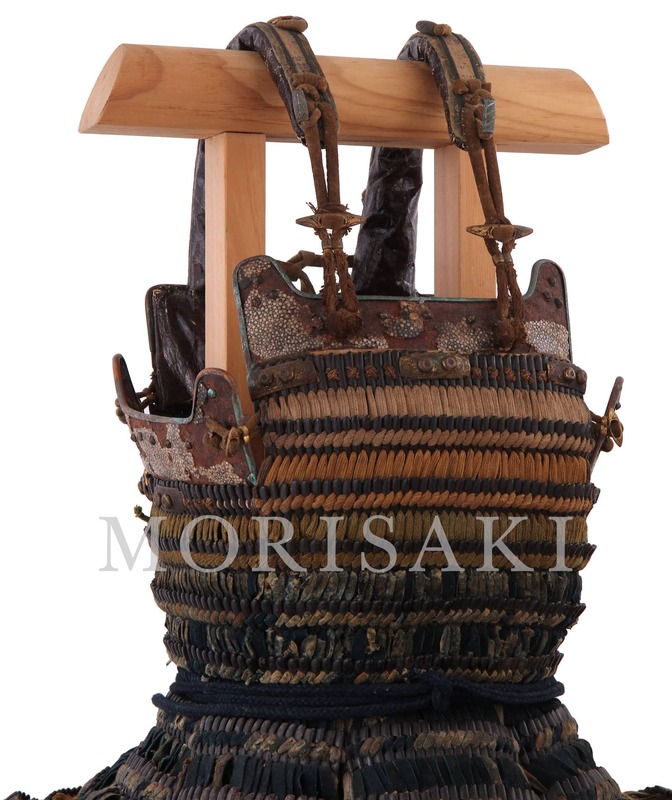 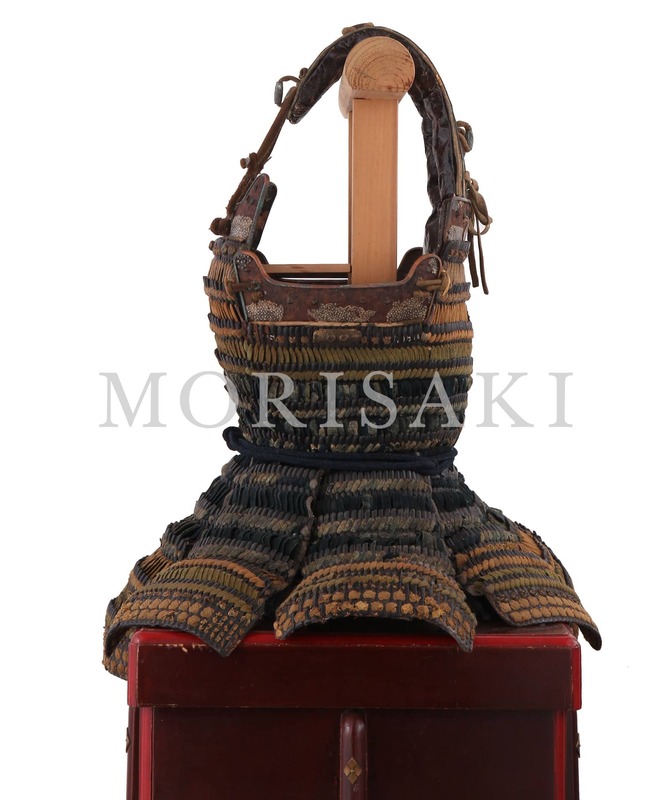 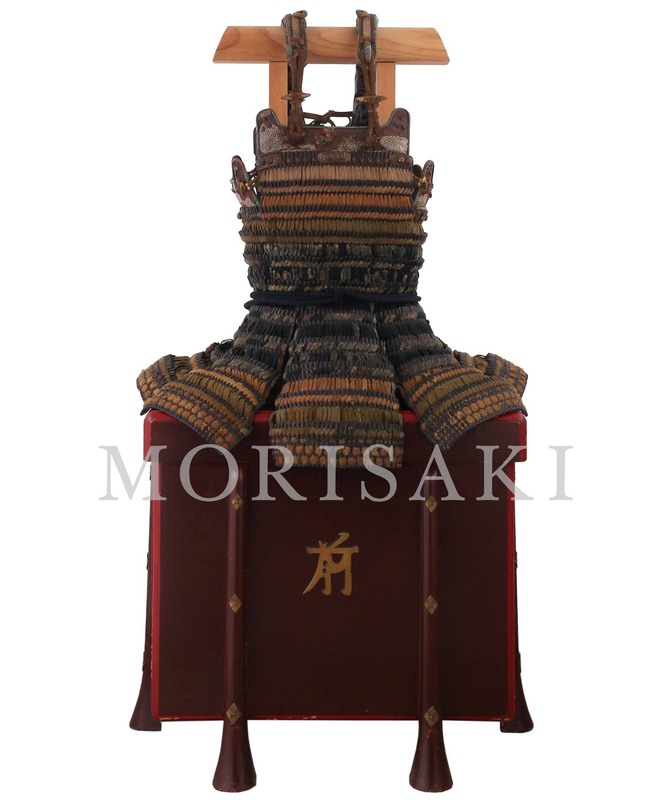 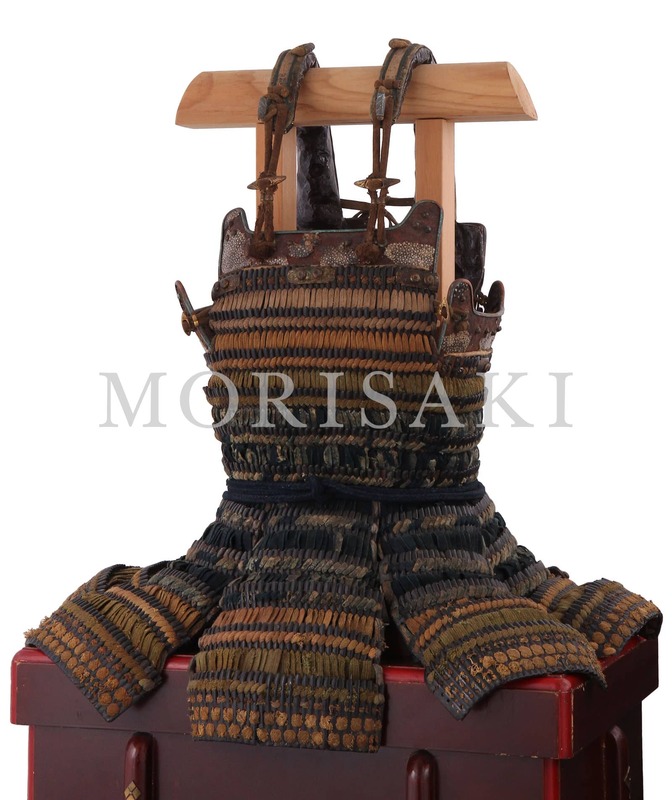 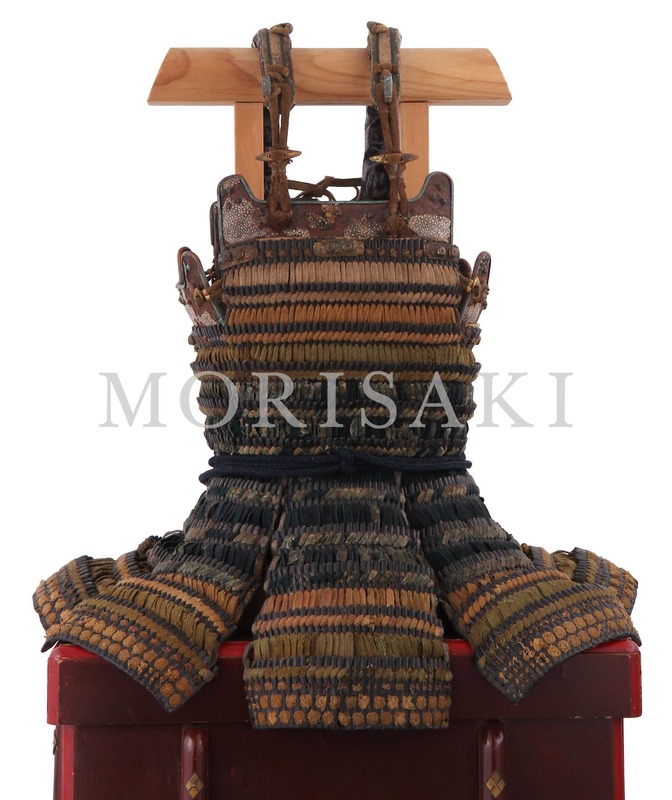 The main parts of Dou are made of iron Kozane and leather Kozane alternately. 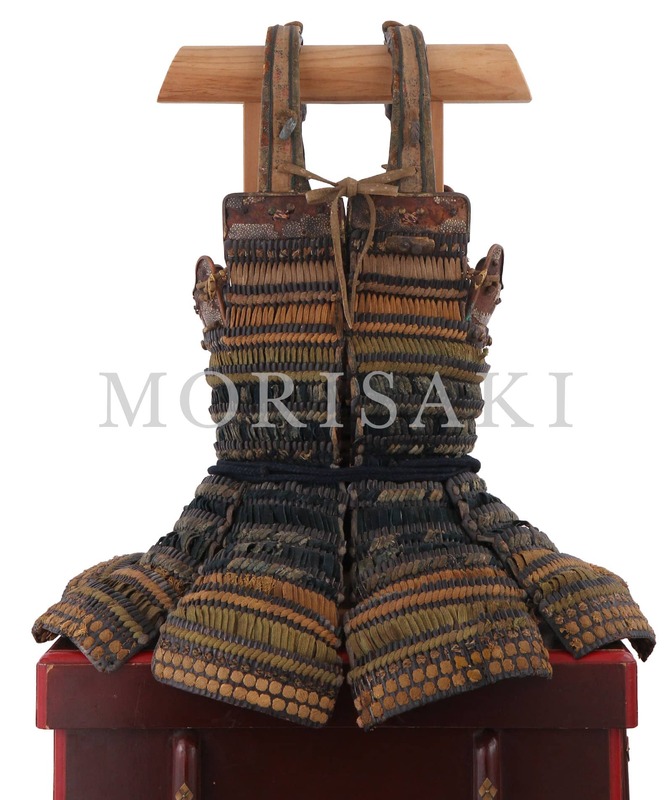 Inside dimension is about 59cm. 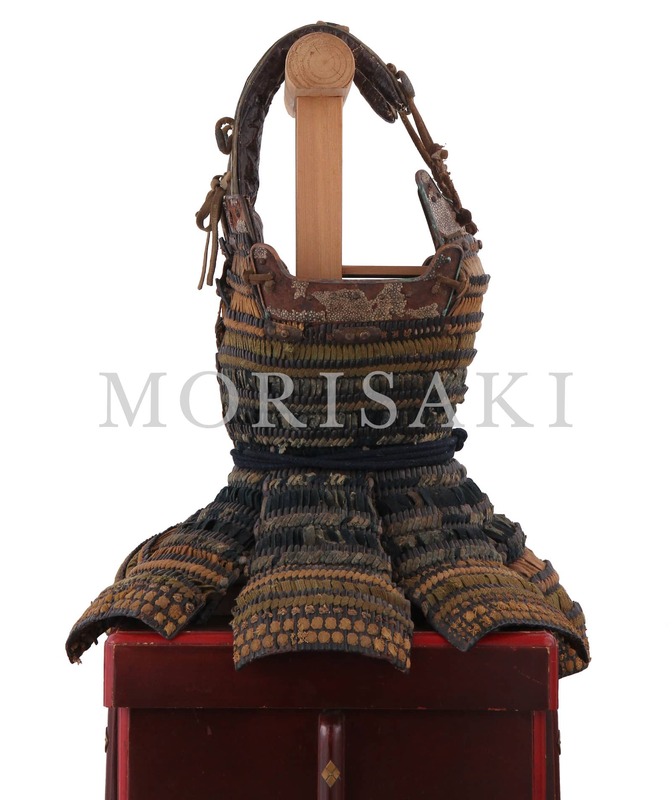 The waist is slim and it has unique beauty in Late Muromachi period. 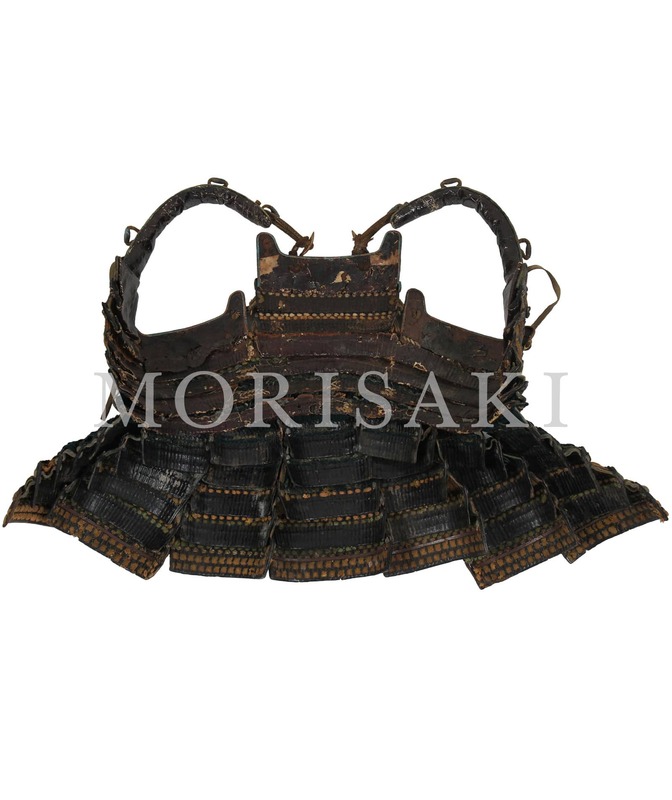 It is the high-quality article which polished the surface of the sharkskin, but it has partial loss for aged deterioration. 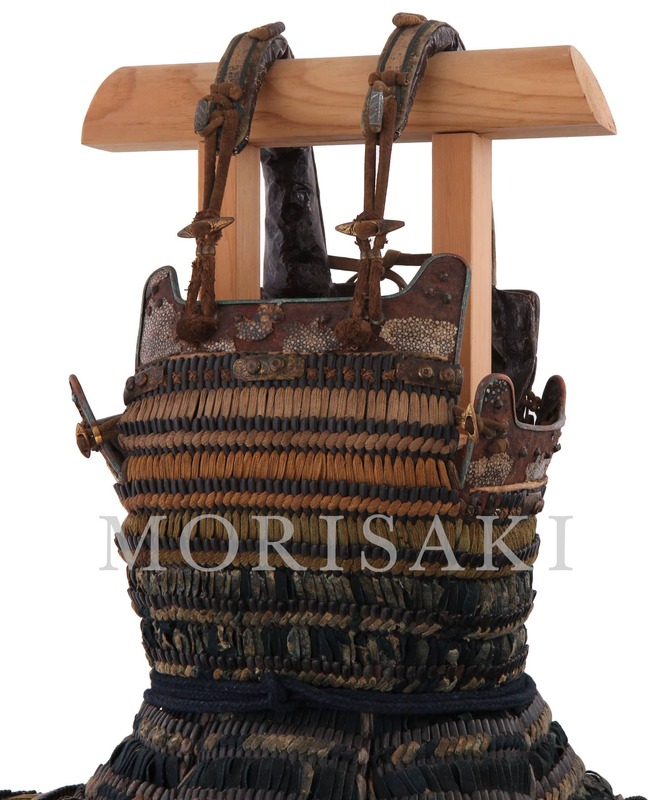 Although it is damaged slightly and partially repaired, it is in good condition as the work from Muromachi period.